Figure 1. The high-level diagram of AlphaGo’s deep neural network pipeline and architecture from Figure 1 in the paper “Mastering the game of Go with deep neural networks and tree search” published January 28, 2016 in Nature. This past March a high profile challenge match for one million dollars took place between the computer program AlphaGo and the world’s top human Go player Lee Sedol. AlphaGo won 4 out of 5 matches and won the challenge. Five months before, on October 2015, AlphaGo became the first computer program in history to beat a professional Go player when it won 5 out of 5 matches against European Champion Fan Hui. 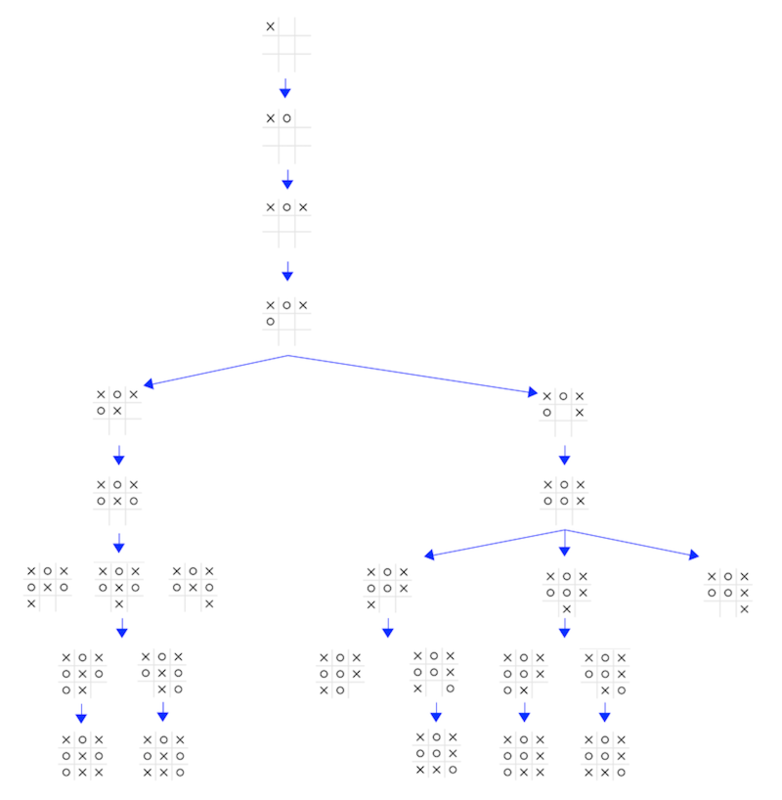 The following January, the paper “Mastering the game of Go with deep neural networks and tree search” (published January 28, 2016 in Nature) was published that discussed the mechanisms used to power of AlphaGo in that match. They may be summarized as powered by deep neural networks trained using a combination of 1) supervised learning from human expert games and 2) reinforcement learning from games of self play (see Figure 1 above). An enormous amount of research is encapsulated in the overview shown in figure 1. Stay tuned and we will examine the science behind the computer algorithms that enabled AlphaGo to play go at an impressive level of mastery. This entry was posted in Brain Science and tagged Brain Science, Machine Intelligence on August 12, 2016 by Donald Doherty. Figure 1. This cross-section through human skin displays the structure of sweat glands. A sweat sensor has been placed across the skin’s surface. 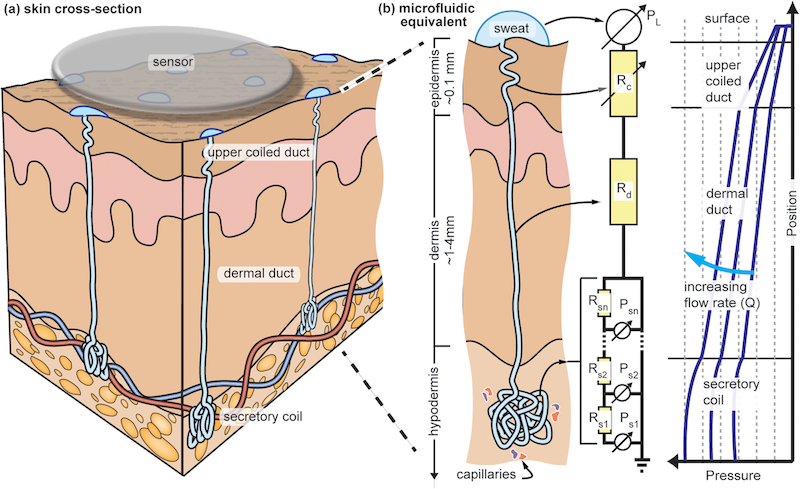 From Figure 1 in the paper “The microfluidics of the eccrine sweat gland, including biomarker partitioning, transport, and biosensing implications” published May 15, 2015 in Biomicrofluidics. We act through muscles and glands. Glands, specifically sweat glands, are a potentially rich source of personal data and a promising target for wearable technology. New wearable sweat sensors are appearing on the market (Eccrine Systems, Inc., biolinq) and the recent paper “The microfluidics of the eccrine sweat gland, including biomarker partitioning, transport, and biosensing implications” published May 15, 2015 in Biomicrofluidics points to exciting insights we may gain from sweat sensing wearable technologies. Collating years of sweat gland research, the authors describe measurable constituents of sweat, from tiny charged sodium and chloride ions to protein molecules like neuropeptide Y and various cytokines. It’s well established that a significant increase in sweat chloride concentrations suggest a diagnosis of cystic fibrosis. It’s also well known that alcohol appears in sweat about five minutes after drinking an alcoholic beverage. More recent research suggests that data gathered from sweat have the potential to indicate (provide markers) for far more, including insight into a person’s cognitive state. For example, neuropeptide Y, known to sometimes play a role as an anti-stress and anti-depressive agent, is found in sweat in proportion with its concentration in blood. Meanwhile, first to market wearables that sense sweat are targeting the exercise market (Kenzen). Potassium ion concentration in sweat is proportional to blood concentration and can predict muscle activity, ammonia in sweat is related to exercise intensity, and high exertion exercise results in higher concentrations of lactate in sweat. Twenty-sixteen is looking like the year that generally available wearable gadgets will get more interesting. Sweat sensor wearables may provide a new way to monitor chronic health issues, drug research, and more. This entry was posted in Brain Science and tagged Brain Science on January 16, 2016 by Donald Doherty.